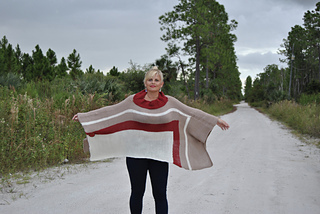 This beautiful and easy to knit poncho is an incredibly flattering accessory for anyone’s wardrobe. 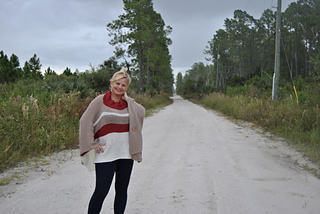 It is as soft and cozy as wrapping yourself in a blanket, but flattering enough to wear just about anywhere. Paired with boots and skinny jeans, it is a chic look with minimal effort. The horizontal hem is very flattering and buttoning up the sizes for mock sleeves makes this a very practical accessory, too.